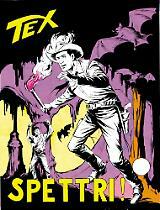 Introduction: Tex’s great adventure has thrilled generations of readers from 1948 on. We celebrate the 70th anniversary of Eagle of the Night with a Magazine full of dossiers, in-depth features, and two unpublished stories with two exceptional comebacks! Our fourth Tex Magazine, 176 pages of dossiers, in-depth features, and two complete unpublished Tex stories. Lilyth hid a secret inside the mission of Our Lady of Charity. After her wedding with Tex, the beautiful Navajo woman finally has a partner that can help her fulfill the promise she made as a young girl. 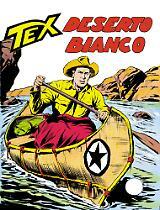 A riveting adventure starring Tex’s unforgettable soul mate. The indomitable stallion, which was Tex’s loyal companion at the time when the law wrongfully wanted him, now runs wild without reins, leading his herd on the immense prairies of the West. 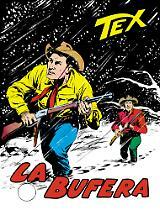 But some ruthless cowboys are threatening the freedom of Dinamite’s wild horses. Who are those men, and why did they venture into the remote lands of the Navajos? 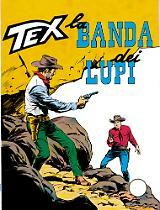 To find out, Tex will have to ride his old friend Dinamite again!